Currently overseas and adjudged a bankrupt. How to renew passport that will be expiring in a year? Currently holding a student visa in Australia. A year later my passport will expire. But the problem is I just found out that the Malaysian Income Tax Department blacklisted me and adjudged me a bankrupt due to my income tax debt. How do I renew my passport overseas? Will they retain my passport? Or repatriate me? Have you been officially adjudged a bankrupt? If Yes, come back to Malaysia and report in to Jabatan Insolvensi Malaysia (JIM) or Malaysia Department of Insolvency (MdI) and apply to go back overseas to continue your studies. Come back during semester breaks. How do I renew my passport overseas? Will they retain my passport? If there is any blacklisting by the Tax Department and JIM, the embassy officers there will ask you to come back to Malaysia to make a new (or renew) a new 10 fingers biometric passport. They will not arrest or repatriate you. Thanks for your reply. I've called the Malaysian Department of Insolvency and confirmed that my name has been declared a bankrupt. So if I go back to Malaysia now, sure they won't let me go overseas again. I am wondering if anyone experiencing the same situation renew their passport overseas? Will the passport be retained by the officer? Your answer is appreciated. renew their passport overseas? Will the passport be retained by the officer? No, the embassy will not retain the passport, for what reasons? It is still a valid passport for your case. Even if it has expired, the embassy will give you exit documents to submit to the Australian Immigration. Just do not let the passport expire to be safe. For overstaying, in Australia the ban may even be longer. My brother-in-law who is 60 years old and had overstayed in Perth for 20 years, could not get a new Malaysian passport for already past 5 years. My classmate Donald Lim, revoked his Malaysian Citizenship and emigrated to Australia, now has come back to Malaysia to spend the rest of his natural life. He is on Long-Term Social Visit Pass (LTSVP) and waiting for his MyPR. 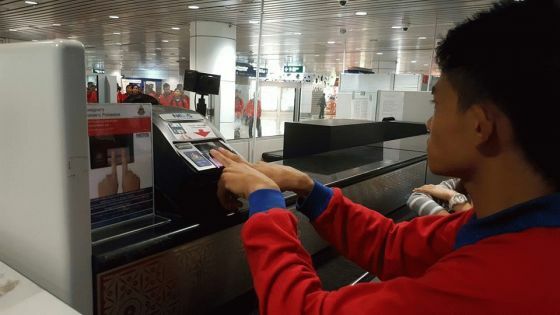 Despite what others says about Constitutional Rights, he is now an overseas migrant applying as such for the right just to live back in Malaysia. He was ex-school headmaster and his daughter is a practicing lawyer.